Corey Kluber is the difference maker and impact arm the Yankees need atop their rotation. In 2017 and 2018, Yankee fans wished ace-like status on Luis Severino, but his inconsistencies have left him just short of owning the name. Kluber, 32, has been the definition of consistent for the Cleveland Indians, winning 18+ games four out of the last five years and winning 20 games in 2018 for the first time in his career. Kluber has posted an ERA below 3.50 every season since 2014, and has struck out at least 220 hitters in the same span. Kluber keeps getting better, and is not showing any signs of regression. Kluber is an ace, the ace the Yankees need. The starting pitcher market has blown up with the announcement that the Indians will listen to offers on Kluber and Carlos Carrasco, not to mention Seattle’s similar announcement that they would make James Paxton available given the right offer. 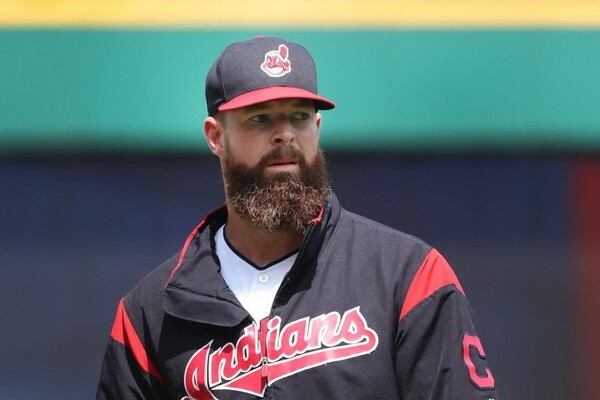 It’s Kluber, however, who is at the top of his game at this point in his career, who is likely to be the surest bet of possible major trade acquisitions. The stats show not only that he is among the best pitchers in the league, but that he is one of the most durable as well. Fangraphs stated that Kluber didn’t pitch a full season in the majors until he was 28-years old. He has less mileage on his arm than you might think. Fangraphs projected Kluber to be the best pitcher in baseball in 2018 and, in fact, he finished second in wins with 20 and third in innings pitched. He earned his third straight All-star selection and finished in the conversation for the Cy Young Award. This adjustment Kluber has made to compensate for the loss of velocity on his fastball falls right in line with the Yankees’ philosophy of pitching less off the fastball to begin with and keeping hitters off balance with alternate pitching strategies aside from blowing them away with straight gas. A rotation of Kluber, free agent target, Patrick Corbin, Severino, Masahiro Tanaka and CC Sabathia would be arguably one of the best in baseball, especially when paired with the Yankees top-notch bullpen. Kluber would bring the precision of an ace to a rotation that won 100 games last year, but fell just short of its goals and could be a difference-maker in 2019, especially in the postseason, as the Yankees chase number 28.